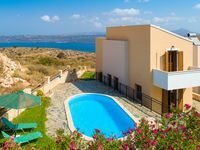 Sea View Breathtaking Armonia Villa! Last Minute Special Offer for May 07 - 14! Property 1: Sea View Breathtaking Armonia Villa! Last Minute Special Offer for May 07 - 14! Sea View Breathtaking: Prinolithos Villa. Reduced Prices between June 02 & 23!! 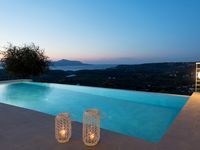 Property 8: Sea View Breathtaking: Prinolithos Villa. Reduced Prices between June 02 & 23!! Detached 3 bedroom stone Villa with superb outlook, private pool, air con, BBQ. Property 48: Detached 3 bedroom stone Villa with superb outlook, private pool, air con, BBQ.